My research develops numerical methods and accompanying software for coupled multi physics problems. Most recently I have been working with projects in the climate modeling and plasma physics application areas. I have experience with vortex methods, Lagrangian particle methods, discontinuous Galerkin methods, and Lagrangian/semi-Lagrangian transport schemes. Ph.D. Applied Mathematics, University of Michigan, 2013. B.S. (honors) Oceanography, U.S. Naval Academy, 2002. I was an active duty Naval officer from 2002-2007, serving in the weapons department aboard USS SHOUP (DDG 86) and in the operations department at the Naval Maritime Forecast Center / Joint Typhoon Warning Center, Pearl Harbor HI. Following my time in the Navy, I was a primary instructor for the University of Michigan's introductory calculus program (calc I, II, and III). After graduate school I spent a year as a postdoctoral assistant professor, also in the mathematics department at the University of Michigan. I joined Sandia in 2014 as that year's John von Neumann Postdoctoral Fellow, and transitioned to a permanent staff position in 2016. Bosler, Peter Andrew, James Kent, Robert Krasny, Christiane Jablonowski, "A Lagrangian particle method with remeshing for tracer transport on the sphere," Journal Article, Journal of Computational Physics, Vol. 340, pp. 639–654, Accepted/Published March 2017. Bosler, Peter Andrew, "Developing a Lagrangian Particle Method for Geophysical Flow," Presentation, Applied Math Seminar, University of New Mexico, April 2016. Bosler, Peter Andrew, Erika Louise Roesler, Mark A. Taylor, Miranda R. Mundt, "Stride Search: a general algorithm for storm detection in high-resolution climate data," Journal Article, Geoscientific Model Development, Vol. 9, pp. 1383–1398, Accepted/Published April 2016. Spotz, William, Peter Andrew Bosler, Steven W. Bova, Jeffrey A. Fike, Oksana Guba, James R. Overfelt, Erika Louise Roesler, Andrew G. Salinger, Thomas M. Smith, Irina Kalashnikova Tezaur, Jerry Watkins, Irina P. Demeshko, "The Aeras Next Generation Global Atmosphere Model," SAND Report, October 2016. Bosler, Peter Andrew, "Adaptive particle methods for global geophysical flow," Presentation, SIAM Conference on Mathematical and Computational Issues in the Geosciences, July 2015. 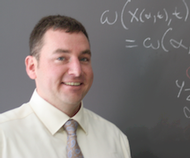 Bosler, Peter Andrew, "Adaptive Refinement Strategies and a Lagrangian Particle Method for Geophysical Flow," Abstract, SIAM Conference on Mathematical and Computational Issues in the Geosciences, June 2015. Bosler, Peter Andrew, Erika Louise Roesler, Mark A. Taylor, "Stride Search: A general algorithm for storm detection in high resolution climate data," Poster, American Geophysical Union Fall Meeting, December 2015. Bosler, Peter Andrew, "Vorticity dynamics in rotating flow: Geophysical applications," Presentation, Vortex Dynamics: Analysis and Simulation, SIAM Conference on the Analysis of Partial Differential Equations, December 2015. Bosler, Peter, Lei Wang, Christiane Jablonowski, Robert Krasny, "A Lagrangian particle/panel method for the barotropic vorticity equations on a rotating sphere," Journal Article, Fluid Dynamics Research, Vol. 46, Article No. 031406, Accepted/Published May 2014. Lauritzen, Peter H, Paul A Ullrich, Christiane Jablonowski, Peter Andrew Bosler, Donna Calhoun, A J Conley, Takeshi Enomoto, Li Dong, S Dubey, Oksana Guba, Ayoe B Hansen, E Kaas, James Kent, J.-F. Lamarque, Michael J Prather, D. Reinert, Victor Shaskin, William C Skamarock, B Sorensen, Mark A. Taylor, M. A. Tolstykh, "A standard test case suite for two-dimensional linear transport on the sphere: results from a collection of state-of-the-art schemes," Journal Article, Geoscientific Model Development, Vol. 7, pp. 105–145, Accepted/Published January 2014. Bosler, Peter, Award, John von Neumann Fellowship, Sandia National Laboratories, The John von Neumann Postdoctoral Research Fellowship in Computational Science offers an exceptional opportunity to conduct innovative research in computational mathematics and scientific computing on advanced computing architectures. As members of either the Computing Research Center at Sandia/New Mexico or the Computer Sciences and Information Systems Center at Sandia/California, von Neumann Fellows apply their research findings to a broad range of science and engineering problems of national importance., August 1, 2014.